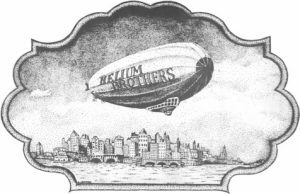 The 40-plus year journey continues for The Helium Brothers, one of Connecticut’s all-time favorite bands, with a free concert at Merwin Meadows Park in Wilton on Sunday, August 7, at 6:30 pm. Sponsored by the Wilton Parks and Recreation Department, the concert marks the return of great music to the meadows—site for years of the world-class Wilton MusicFest series. Forged in the coming of age heyday of the baby boomer college era, the Helium sound is an eclectic and intoxicating blend of traditional and avant-garde bluegrass, jazzy country swing, and the California acoustic/singer-songwriter pop-rock of the 70’s. The Helium Brothers were voted “Best Band” by the New Haven Advocate in 1977, and toured nationally in 1979 as the opening act for blues legend Johnny Winter. They routinely packed the most high profile nightclubs in and around New Haven and Fairfield County, and throughout Connecticut and the Northeast. Helium is about a diverse, unexpected repertoire of covers and original songs, blazing instrumental solos and jams, and memorable vocals with jazz-tinged harmonies. Fresh off a series of 40th reunion shows in 2015/16, four of the original five Helium members are still together: Oscar Hills, on banjo and guitar, and member of the legendary New Haven group, Professors of Bluegrass; Kim Oler on bass and vocals, and the recipient of the Richard Rogers award for his theater music; Paul Fargeorge on drums and vocals, former member of the Platters and Eight To The Bar; and Andy “A.J.” Gundell on guitar and vocals, 13-time Emmy winning songwriter/composer/music supervisor/producer. Kenny Kosek, one of the country’s great fiddle players, has recently joined the band as their permanent fifth member. Merwin Meadows is located on Lovers Lane in Wilton, CT, 06897. The concert is free, open to the public, picnickers are welcome, and will be held rain or shine. In the event of inclement weather, call 203-454-5188 for the alternate indoor location. For more general info, call 203-834- 6234.